This is an annual Streetsville Event that we love to play. Check out the Bread & Honey website for every little detail. 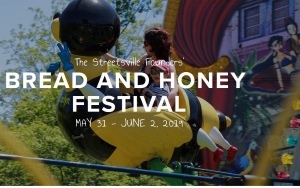 Don't miss the talented line-up of live performers for children and adults, alike, a wide selection of carnival rides, games and hands-on educational demonstrations for the whole family... and of course, FREE Bread and Honey. 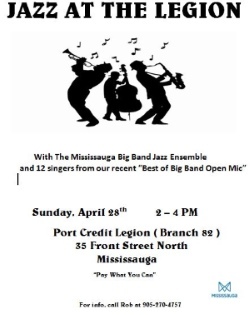 We'll be on hand on SUNDAY, JUNE 2nd from 11:30 am - 12:30 pm (a little early for your average jazz gig!) and we'd love to hang out with you (who wouldn't?) and maybe talk about jazz over a bread and honey!